The term "vegetables" is usually applied to the edible parts of herbaceous plants. With some fruits, botanically so considered, as watermelon, muskmelon, tomato and eggplant, the parts used as food are commonly called vegetables. While fruits are extensively employed for dessert without cooking, heat must be applied to most vegetables before they become palatable; notable exceptions are tomato, celery, onion, lettuce and melons. 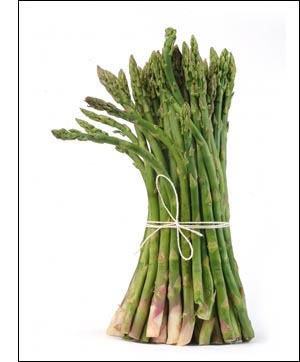 Vegetables of great commercial importance are asparagus, bean, beet, cabbage, carrot, cauliflower, cucumber, horse-radish, parsnip, pea, pepper, sweet corn, sweet potato, radish, spinach, squash and turnip. The potato is also a vegetable, but it is generally regarded as a field crop, and it is often included in rotations with grass and cereals. Home vegetable gardening - The production of vegetables in the home garden for the home table is often called kitchen gardening. On most farms the area devoted to this purpose is known as "the garden." Other parts of the premises may be manured sparingly or not at all, while this small area receives heavy annual applications. It is an intensive type of gardening of greater importance than is generally appreciated. In the production of vegetables for the home table the gardener should aim to secure (1) a variety of products, (2) the highest quality and (3) a supply as uniform and constant as possible at different seasons of the year.